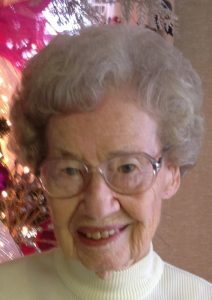 Ruth R. Ailshouse, 99 of Paducah passed away March 3, 2019 at her home. She worked 34 years with the Federal Bureau of Investigation as a clerical specialist until her retirement. She was preceded in death by her husband, Eddie Ailshouse. Her parents, Ben Rudolph and Della Holmes Rudolph. Two brothers, Haselton and Thomas Rudolph. One sister, Flora Lee Rudolph.